Thursday, May 19, 8:30 a.m. Agenda will be posted here next week. All businesses and the general public are invited! For more information please contact Beautification Chair Eileen Mason at emason11@verizon.net. Did you forget to pay your membership? There are a few of you who still owe your 2011 membership. Please try to get payment in this week so you can participate in our wonderful events. Thursday, June 16th, 4:00 - 7:00 p.m.
We are in the final planning stages for the upcoming Stroll. Flyers will be distributed next week. Please help the FDP advertise this exciting event. Event co-chairs are Nicole Fortier, nicolefortier@deanbank.com, and Diane Glass, dianeglasslaw@gmail.com. Registration information will be sent out this week. If you are a new member and would like to participate please contact Angie Grant, our new Harvest Festival Event Chair, at agrant@middlesexbank.com so you can be added to the distribution list. Make sure you have your link here on the Partnership website! It is free with your business membership. Check back here for all current information and street closing updates. Sponsors are still needed for Beautification, Harvest Festival and Holiday Stroll. 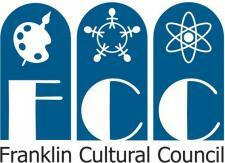 Please email the Partnership at downtown.franklin@yahoo.com if you are interested in becoming a sponsor. Sponsorship Opportunities and a Sponsorship Registration Form can be found under the Sponsorship tab. Thank you to those of you who have supported past events!